Self esteem refers to how much we value ourselves. It describes how worthwhile and confident we believe we are. It is a subjective measure of our personal value. 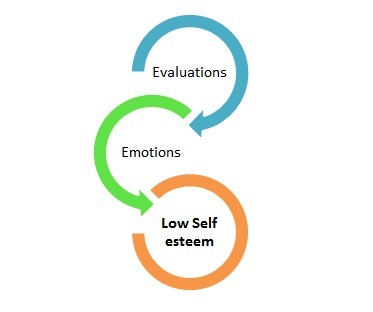 How we evaluate ourselves refers to how we think about ourselves, our abilities, skills, and knowledge necessary to solve specific tasks or face certain situations. In other words we evaluate how competent we are. How we feel about ourselves refers to the feelings of personal worth, also known as self respect. We have high self esteem and confidence when we think that we are competent and we feel good about ourselves. We may start to have low self esteem and low self confidence when we think that we are not competent and we feel bad about ourselves. Everyone is uncertain about themselves, doubts their abilities, and lacks self confidence, especially at times of high stress. This is not automatically associated with low self esteem. 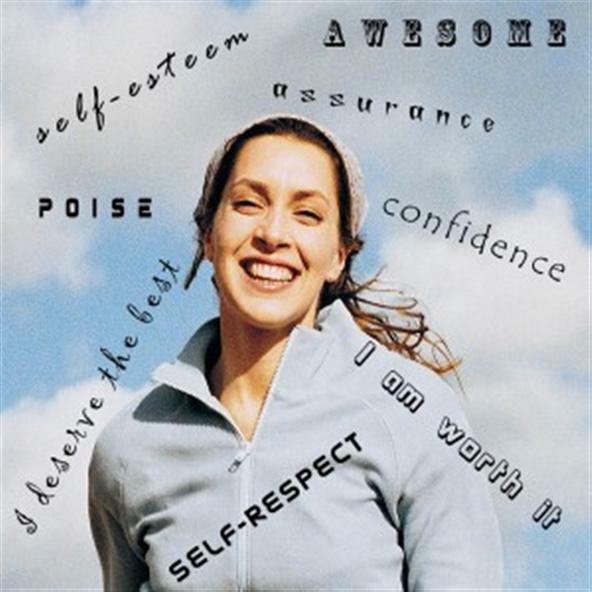 For self esteem to be described as low, it has to be generalised. People with low self esteem think, more often than not, that they are inferior to other people, useless, worthless, a loser or a failure. Also, they usually think that they are weak, flawed in some way, stupid, not good enough, and feel dissatisfied and unhappy with themselves on the whole. How Low Self esteem gets even lower? People can have the unpleasant experience of being told, sometimes repeatedly, how bad, unprepared, unskilled, incapable they are. These persons may start to evaluate themselves through the lenses of others' opinions. They will internalise the opinions of others, making them their own. Soon, they will start to feel bad about themselves, in line with the judgements of others. They will also start to generalise the opinions of others to many other areas of their own life. They will start to feel highly uncertain about themselves, greatly doubting their abilities, and deeply lacking self confidence. The end result is having low self esteem. This process is especially powerful if the persons making the negative judgements are in a position of power or authority. Parents, teachers, spouses, friends, employers, and leaders of the groups we want to belong to, all can have a dramatic influence on our self esteem. In my practice I have worked with clients crippled by low self esteem which got even lower in spite of them having very supportive and caring parents, spouses or friends. In working with them I was told, time and again, how they felt deeply overwhelmed with negative emotions which were equal in intensity with the negative emotions they had when they first experienced Panic attacks, different fears and phobias, or PTSD (Post Traumatic Stress Disorder). These clients also talk about how they begin to doubt themselves severely, as they felt highly emotional about every unsuccessful attempt to overcome those situations. They also describe how they generalise those doubts to other areas of their lives, despite the great efforts made to challenge and change those doubts and negative beliefs made by those who love and support them. 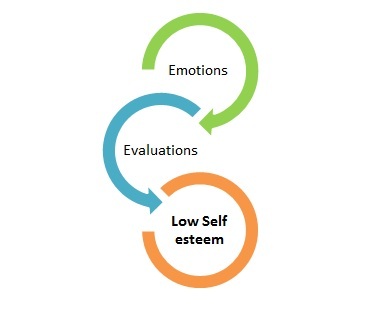 Understanding how low self esteem could get even lower is paramount for improving self esteem and self confidence. If the low self esteem results from holding negatively charged beliefs generated from others' judgements and opinion, cognitively based counselling and / or psychotherapy may be applicable. However, in my opinion, if the low self esteem results from highly emotional reactions associated with Panic attacks, Panic disorders, different fears and phobias, or PTSD (Post Traumatic Stress Disorder), other types of counselling and / or psychotherapy aiming at alleviating those emotions may be more successful, since simply pointing to errors in thinking would only add insult to injury. Also, continuing to live with low self esteem associated with Panic attacks, Panic disorders, different fears and phobias, or PTSD (Post Traumatic Stress Disorder) may make the symptoms of these disorders more difficult to manage, which in return will lower the self esteem even more. Please note that the information on this page should not be used for self-diagnosis or to diagnose others. If you feel that your self esteem is low or if you want to build your self confidence, contact me now to make an appointment for a confidential discussion.